Yesterday and today we’re reintroducing you to Canadian Presbyterian pastor Jeff Loach who writes at Passionately His. Both of these are great to share with someone who has not yet crossed the line of faith. Click the title below to read this on his blog. Most of us, from time to time, get a song stuck in our heads. I don’t know about you, but for me, this is an almost daily occurrence, and sometimes, it persists beyond the day. Since Tuesday evening this week, I have had the same song in my head. So today, I thought I’d put it in your head, too! It is a hymn, a piece of poetry put to music, that dates back to the 1730s. The accompanying tune is called SAGINA, which is the name of a spring plant common in the Roman Empire; it can also mean “nourishment”. It was written in 1825. But the text and the tune were not put together popularly until well into the twentieth century. The text was written by the great Methodist leader Charles Wesley (1707-1788). No one knows for sure, but it is thought that this text came to him at the point of his conversion. These lyrics certainly allude to the story of the earthquake that occurred when Paul and Silas were in prison: “All the doors immediately flew open, and the chains of every prisoner fell off!” (Acts 16.26b, NLT). But Wesley had experienced this in his own heart, too. The good news is that any of us can have the same experience. By God’s grace, our chains can fall off, too. If you feel as though your spirit is lying in some sort of prison – enslaved to sin, locked in old ways, tied down by guilt – then Jesus longs to free you. If you’ve not been set free from sin, think of what song might come from your mouth when your chains fall off! As someone who has been part of music ministry in many different churches, I don’t know how I missed today’s analogy before. (I’ve added italics and bold type for emphasis!) We begin with a return visit to Christward Collective and a piece by author Gary Wilbur. Click the title below to read the article in full at source. I love plainsong chant and the power of unison singing. This type of singing fulfills particular roles in worship that part-singing cannot. However, I would suggest that the current status of congregational singing is not lacking in unison options but is in fact neglecting the benefits of singing in parts. One reason that people do not sing in church is the lack of opportunities to do so with a voice part or a melody that fits into their vocal range. Altos and basses were not physically made to sing in the same range as sopranos and tenors. When faced with a high melody line and no opportunity (or training) to sing anything else, basses and altos either stop singing or strain their voices. If they are able to hit the higher notes, they do so in a different part of their voice that makes them stick out of the blend. Singing in parts allows for different voice ranges to have vocal parts that fit their voice. This allows them the opportunity to participate more fully in congregational singing—which is, of course, a significant reason for singing together in the first place. In addition, when people sing in harmony the whole is greater than the sum of the parts. Literally. Notes sung together cause sound frequencies to resonate together in such a way that “sounds” other notes that are not physically being sung. The combination of voices creates the opportunity for additional notes and harmonies to fill out the music with greater richness. He then moves on to talk about some of the practicalities of music ministry that aren’t applicable to all readers here. It’s import to note that the idea of the capital “C” Church as a body is itself an analogy; so that when we noted that part singing is analogous to the notion of that body, we’re actually proposing an analogy to an analogy. We can get quite carried away doing this. But we wouldn’t be the first to propose that the music of the church can be a microcosm of something taking place on a larger scale. For example, most of the basic chords in music are comprised of three notes, and writers in past centuries saw this as analogous to The Trinity. But music can be highly complex. How far do we take such analogies? And what do we say of polyphony? Or poly-tonality? Or the place of unresolved chords or even discords? It gets complicated when we try to impose too much on an analogy or metaphor; when we run too far down the rabbit trail! So let’s leave it where we started, namely that Singing in parts is a reflection of the Body of Christ that serves one another with different functions. That’s an image I believe we all can embrace, and can remember the next time we hear four-part harmony sung in worship to God. We’ve frequently mentioned, quoted and linked to Mark and Stephen Altrogge at Thinking Out Loud. This is his fifth time here at C201, but it’s been nearly 3 years. Lift high the name of Jesus. Click the title below to read this at source. 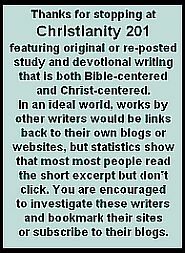 Though Mark and Stephen Altrogge and I are from different doctrinal streams, there usually isn’t an article on their blog, The Blazing Center that isn’t top-notch reading. This one is by Mark. Have you ever wondered why God commands us to sing to him? Does he need our songs somehow? Does he get some kind of sick pleasure out of commanding us to sing his praises? First of all, God doesn’t need anything from us. He doesn’t need our worship or our songs or our money or our obedience. He is infinite and lacks nothing. Everything he commands us is for our joy and benefit. If God commands us to sing, then it is to bless us and add to our joy in him. What are some reasons God commands us to sing? We have so many incredible things to be thankful for and sing about – we’ve been forgiven, justified, and adopted as God’s own children and made joint-heirs with Christ. We’ve been rescued from eternal destruction. We’ve been given eternal life. Jesus SAVED us! That’s something to sing about. When God led Israel through the Red Sea with the Egyptians hot on their tail, then closed the sea over the Egyptians, and saved the Israelites from certain death, and the Israelites saw the chariots and horses washed up on the beach they began to sing and dance. Can you imagine them shrugging their shoulders and saying, “That’s nice”? No, they wrote a song for the occasion. And Jesus saved us from something far worse than death – God’s eternal wrath. How can we not sing and rejoice? Secondly, we should sing because we are loved. God’s love is too marvelous and amazing to simply talk about. Think of all the love songs people sing. If we sing love songs about our love for human beings, how much more should we sing songs to the One who so loved us he gave his Son for us? How much more should we sing to Jesus who bore the wrath of God to redeem us? Third, we should sing because Jesus has filled us with joy. Singing is an expression of joy. We sing for joy at birthdays, weddings, ballgames. God has given us unspeakable everlasting joy in Christ. We just have to sing about it. The kingdom of God is a kingdom of joy. Someday Jesus will wipe away every tear and sorrow and sadness will flee away. For all eternity we will celebrate the wedding feast of the Lamb. If earthly weddings have music and songs, how much more will the marriage supper of the Lamb? Jesus rejoices and exults over his people with loud singing. How can we not rejoice in our King and Savior? Our songs should be filled with “the word of Christ” – the gospel. And as we sing psalms, hymns and spiritual songs to God, the gospel dwells in us richly. Singing usually involves repetition, rhyming and easily remembered phrases– it is a wonderful way to soak in and remember God’s truth. Sixth, singing allows us to express our emotions to God in a way we couldn’t by mere talking. What an incredible gift from God music is. How much color, joy and depth it adds to our lives. The band Cream sang a song called “I’m So Glad” in which they sang, “I’m so glad, I’m so glad, I’m glad, I’m glad, I’m glad!” (I know, not the most creative lyrics in the world). But it just wouldn’t be the same to merely speak these words. When you’re really happy you want to sing. Seven, when we sing and rejoice in our God it honors him. Singing is a way for us to glorify God – to “sing the glory of his name.” God created and saved us and gave us gifts, talents, intelligence, minds and bodies that we might glorify him. Not only are we to seek to glorify him by our lives, but with our tongues. And singing is such an easy way to glorify Jesus! It’s not like when we glorify him by suffering for him. How hard is it to sing? Julian Freeman is the pastor of Grace Fellowship Church, Don Mills (Toronto) located just a mile west of where I grew up, and has been blogging since the spring of 2005. This appeared at his blog under the title, Who Dieth Thus, Dies Well. True story: A church group from New Bern, North Carolina, had traveled to the Caribbean on a mission trip. During this particular trip, their host took them to visit a leper colony on the island of Tobago. While there, they held a worship service in the campus chapel. As you can imagine, the sight of emaciated lepers filing into their seats on the bare pews bore deeply into the minds and memories of each visitor to this unaccustomed scene. When the pastor announced, “We have time for one more hymn. Does anyone have a favorite?” he noticed a lone patient seated awkwardly on the back row, facing away from the front. At this final call for hymn requests, with great effort, the woman slowly turned her body in the pastor’s direction. The pastor stumbled out of the pulpit, out the door, and into the adjoining yard, tears of holy conviction raining down on his face. One of the traveling party rushed to fill his place, arguably the most “unblessed” of any spot in the universe. Leave it to a grotesquely deformed leper to remind us that grateful people are characterized by grateful words, while ungrateful people are giving to griping, complaining, murmuring, whining. Some grumble at why God put thorns on roses, while others wisely notice — with awe and gratitude — that God has put roses among thorns. Hear what people are saying when they talk about the everyday events of their lives, and you’ll see in an instant the difference between gratitude and ingratitude. About a year ago Tullian Tchividjian posted a very heartfelt and very anguished article about the feeling of walking in to the hospital and seeing his father hooked up to tubes and other apparatus. …as I reminded my dad last night (hoping–believing–that he heard me), for those who are in Christ, the best is yet to come. The day is coming when God will satisfy our deepest longings and fulfill our highest dreams. He’ll wipe away all our tears and end every frustration. He will, in the words of J. R. R. Tolkien, make “everything sad come untrue.” He’ll right every wrong and correct every injustice. The day is coming when we’ll work and play and worship forever, with no more sin, no more sickness and disease, no more failure, no more pain, no more death. There is coming a day when the kingdoms of this world will become the kingdom of our Lord and of his Christ, and we will reign with him forever and ever (Revelation 11:15). Original words by Henri Malan (1787–1864). The word ‘transparency’ comes up in more recent worship music once that I know of, in the 1976 hymn, “We Are God’s People,” by Bryan Jeffrey Leach. But the theme is stronger in scripture, especially the injunction to “Let your yes be yes and your no be no.” (Matt. 5:37 echoed in James 5:12) Interestingly enough, that scripture got twisted to form the chorus of a hit song by Brownsville Station about a girl who is teasing a guy who wishes she would just say if she’s interested or not. The song’s a bit off the mark with its sexual suggestiveness, but in a sense, when we don’t live life transparently, we’re just teasing everybody. When we opened our first bookstore, a well-meaning friend recognized the need for a store like ours to be a denominationally neutral zone, like Switzerland is politically. “People shouldn’t know what you think;” he told me. I took that advice for awhile and then realized, people actually wanted to know what I was thinking. In fact they were looking for someone who, as sports talk show host Jim Rome would say, “had a take” on any given doctrinal or ecclesiastical issue. Mark gets right at the heart of the issue in Jesus’ ministry in verse 22 of chapter 1; “The people were amazed at his teaching, because he taught them as one who had authority, not as the teachers of the law.” (NIV) Unfortunately, the NIV doesn’t use the word “Forthright” anywhere, which also describe the quality we see here. But authority (which comes from God) is as desirable now as it was when Jesus taught. People are looking for someone who is willing to take a stand. To delineate the issues. To not be concerned about possibly offending a few (or many) in the process. I admire people who are wiling to stick their neck out to defend their position on various subjects. And it’s simply an added bonus to meet the person and consider that their public persona is not an act. Because in Jesus’ time, as now, there is a lot of acting going on. I just wanna be transparent. 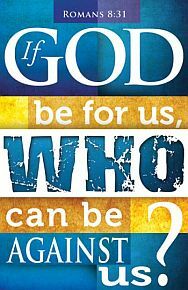 ~For the full lyrics and further thoughts on “We Are God’s People,” check out today’s post at Thinking Out Loud. 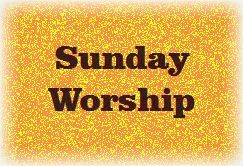 In the Christian blogosphere, modern worship rules. But if you grew up in church in the hymn era, and you had extra time on your hands, you probably know that each of the hymn tunes has a name. I don’t know of a tune that continues to inspire and continues to remain somewhat ‘current’ as the tune known as Hyfrydol. Its meter is such that it can be used with so many different hymns. It’s a tune that has a strong identification with Christians, and sung with passion (sung that is, not choired) there’s nothing like it. Regardless of who is singing, this is one of those moments where a unique tune melody blends with inspiring lyrics. From yesterday’s modern worship song, we flash back more than a hundred years for the song “Love Unknown” (the tune name, which I chose as the blog post tile) better known as “Oft When of God We Ask.” And yet, there’s something very contemporary about these soul-searching lyrics, and approach to its theme: Trusting God in trials. It’s almost out-of-sync with other hymns from the same era. (Or perhaps, with the hymns that have survived with which we are now familiar.) The writer is Thomas Toke Lynch (1818-1871). I tried to find a video for this, but as you can imagine, this is a very obscure hymn. Is this the boon for which we sought? Has prayer new trouble on us brought? Then the clear waters on us burst. That speedily will bring such gain ? For peace so sacred and so sweet. Two music posts in a row. What can I say? I had some different ideas for today, but this song was in my brain crying out to be shared. The lyrics follow and are also in the video. Every debt that you ever had has been covered by grace. In these days of confused situations. lay wounded and cold as a corpse. comes a song bringing joy to the sad. has been paid up in full, Be Ye Glad. Be Ye Glad, Be Ye Glad, Be Ye Glad. From the dungeon a rumor is stirring. You have heard it again and again. and outside there are faces of friends. and your eyes show the sorrow they’ve had. has opened the gate, Be Ye Glad. giving hope in a storm sea of night. for these fugitives in their flight. For you are timeless and part of a puzzle. You are winsome and young as a lad. that can pull you from God, Be Ye Glad. Nobody likes to think of themselves as “depraved” but one of the things Calvinism has brought us is the phrase “total depravity;” it’s actually the “T” in the “TULIP” acronym. Catholics say that we are born with “original sin;” though to see to widespread nature of different types of sinful acts is to know there’s nothing original about it. But what happens after conversion? 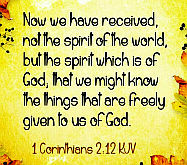 Much of the Apostle Paul’s writings discuss the dual nature; the fight put up by the desires of the flesh. 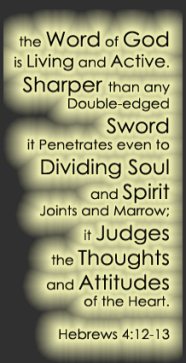 James talks about “double mindedness.” In the epistles at least, we get a picture of the spiritual warfare raging all around us; the accompanying tension between where we are positionally in Christ, and where we find ourselves pragmatically in the world. I mean seriously, what terrible advertising for the Christian life. Nobody wants to admit to that propensity to sin. And as for depravity, Dictionary.com defines it as “moral corruption” and there are people I know who don’t know Christ that I would regard as “upstanding morally;” so I don’t think too many Christ-followers would even want to say they were depraved before they made Him lord of their lives. This past week I was driving my car and my mind wandered into less than stellar territory. (More about thoughts in tomorrow’s post.) Please don’t try to guess or read too much into this, but after the thought had flashed through my brain — okay, it actually parked there for about five minutes — I thought about how people are, and how I am, always just a few mis-steps away from conceding to my human nature and its way of thinking.